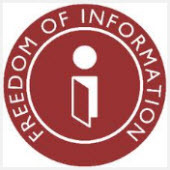 Executives, especially within Government, are faced with the challenge of responding to a growing number of FOI requests, while at the same time ensuring overall commitments are still being achieved. How do you ensure timely and accurate responses to a growing number of FOI requests across your organization? Use Crow Canyon’s Business Process Automation software for an integrated approach to managing FOI requests. From initial FOI Request to response drafting with built-in templates to response status tracking and reporting, our FOI Response Management application guides the process. Once the request has been made, the Response Authoring module works in conjunction with Response Management to track, monitor, and assist with all aspects of FOI Request Management. The system includes workload management and reporting on response activity. Furthermore, the system can be integrated with your records management system to ensure that your obligations are being met. Based on the robust Microsoft SharePoint Server platform, our software provides an extensive Freedom of Information Request Management system. The FOI Manager leverages SharePoint’s many features and capabilities, including Document Libraries, Lists, Workflows, Alerting, and Event Handlers. It includes additional capabilities, including web parts, that extend SharePoint into a full application delivery platform. The FOI Request Manager part of Crow Canyon’s business process automation tools built on SharePoint Server, Microsoft’s main business collaboration tool. It is based on our Service Request for SharePoint engine, which provides robust tracking and management features and incorporates years of SharePoint development. The Service Request system is used at organizations around the world in applications such as Customer Support, Asset Tracking, Employee Services, and more. All our applications contain the features below while at the same time being tailored to fit a specific request management and tracking need. Schedule a live online SharePoint Application demonstration for your team!